Investing in MasterNodes is known as one of the save options when it comes to making money with crypto. While trading carries high risk, even if it is executed by unemotional bots, the likelihood to experience losses is always relatively high. When it comes to the storage of MasterNodes, you constantly make money, at least in the related cryptocurrency. Your actual USD outcome depends on the USD course of the corresponding cryptocurrency. But if you see it as a long term investment and don’t need to cash out on a monthly base you can wait for a high Dollar course. Hosting a full node will never bring the returns of well managed crypto trades, but they bring in a certain income and even a stable one at no risk. As long as the coin’s blockchain exists, Masternode hosts will get stable awards afor their participation in the network. 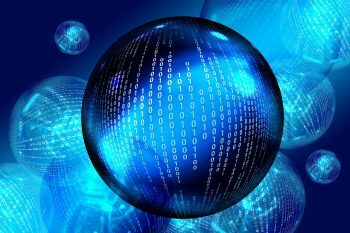 What Do You Need In Order To Run MasterNodes? The procedure for obtaining MasterNode coins is similar to that of staking. Unlike mining, you don’t need expensive hardware that has to work hard around the clock. Instead, you need a core wallet first and foremost. This is a wallet of the respective cryptocurrency that is constantly online and downloads the entire blockchain of the cryptocurrency. All you need to do is download it to your computer and install it, and your PC has to be online always. Apart from that, something else is needed: As with staking, the core wallet must have a minimum number of coins of the respective cryptocurrency. And it can get really expensive here. In order to be able to run a Masternode of any cryptocurrency you need to own a certain amount of the specific coin. This stake, that gets frozen as long as you run the node, ensures that Masternode holder will always act in the best interest of the network – if they would unstabalize or destroy the network they would lose their own stake. This can be compared to a high deposit for a property. In order not to lose that deposit you would do your best not to destroy anything. MasterNodes are best hosted on external servers which run constantly, 24/7, on a fast and stable system. For that purpose the best option we know is to rent a server at a webhosting provider. The product with the most ideal features for that purpose is called a Virtual Private Server (VPS), often also called vServer. 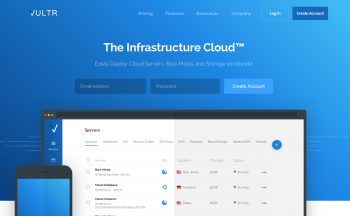 In the case of a VPS you pay for a fixed package regarding the technical features, meaning CPU, storage space, RAM, bandwidth and amount of IP addresses are predeterminated on a rented VPS. as a share within a server environment rented by a couple of clients. So when searching for a reasonable VPS offer, you should look for specific features that suit the technical requirements of the Masternode you want to run. In order to host a Masternode you will need a dedicated (static) IP address. So a server package with one included dedicated IP is sufficient. Depending on the specific cryptocurrency, MasterNodes have very different sizes. So you need to check that size in advance before ordering a VPS to store it unless you anyways take a bigger VPS service package. When it comes to chosing an operating System for you VPS, best is usually Linux since that’s more or less standard for most MasterNodes, alltough there might some be running on Windows or MAC as well. 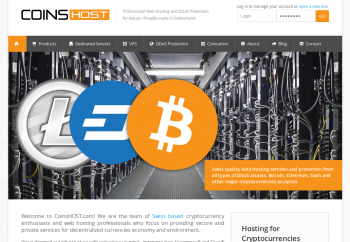 Below you find a range of cryptocurrencies with links to their official server setup guides. The required stake in order to be able to run a DASH masternode is 1000 Dash. For a Dash Masternode your monthly bandwidth use will be of 300 to 500 GB. Which will grow alongside with the growth of the network. Check dash.org for more details. A slow hard disk will do the job, so SSD is not required. If you need assistance for the setup, follow those instrucions. For assistance to setup your PIVX MaserNode reas those instructions. The amount of BLOCK that needs to be held by a Service Node operator is 5,000 BLOCK. Here is a document created by a blocknet community member with masternode setup instructions. The amount of Zcoin tokens that needs to be held by a Masternode operator is 1,000 XZC. For those coins a standard VPS package should be fine, with something like 1 vCPU, 1 GB RAM , 25 GB storage space, 500 GB bandwidth / month. That might even already be a lot for some cryptocurrencies. If you want to check out the creation of a MasterNode, watch the video below. It might be a bit different for other coins, like other software or so, but you see how it works in general. Note that the initial download of the entire Masternode might take couple of hours, depending on the node size and your individual connection speed, your CPU might run at nearly 100% all the time. From then on the synching takes way less capacities. Also you should consider taking a package with more storage than the current size of the Masternode requires to be ready for network growth. 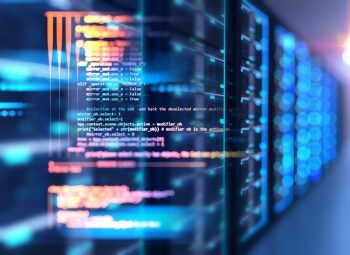 What Are The Best VPS for Cryptocurrency MasterNodes? 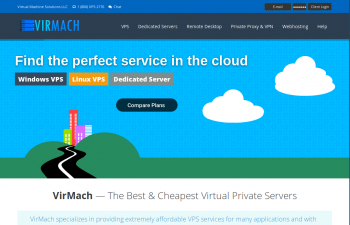 Virmach is a popular VPS provider with very reasonable packages. They offer great semi-managed support. Just let them help you in case you have problems with your server setup or anything. The use SSD disks, Ddos protection is also available. The following are their cheapest Linux packages with Centos, Ubuntu, or Debian. Virmach is entirely US-based, where they have 10 data centers. This company is a old player on the market meaning a lot of experience and professionalism. Their approach is to offer the highest performance and most stable systems at very competitive prices. They also offer windows servers from $10 / month. But for MasterNodes you better go for Linux anyways. Interserver.net has 3 data centers, all in the US. In case this package should still be too small, you can check out their higher plans here. Note: The cheaper Vultr VPS hosting plans which perfectly fit for Masternode hosting will not be managed plans. 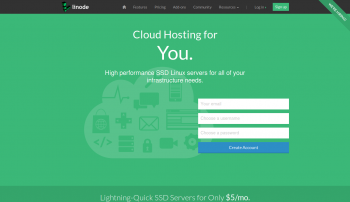 Managed VPS hosting is never cheaper than $10 per month. So we’re always talking about self-managed VPS when it comes to MasterNode hosting. 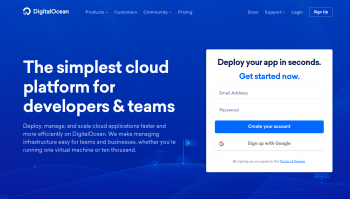 There are no long term contracts at vultr. So you can easily upgrade, downgrade or end you rental at any time. 8 in the US, 4 in Europe, 2 in Asia and 1 in Australia. Linode has an hourly billing model. This means that clients who don’t use the vps the whole month will be charged at their hourly rate which can lead to way lower costs. So $5 and $10 are the maximum cap for the cheapest plans. In this section we shortly walk through the VPS setup that is required after you’ve signed up at one of the recommended providers or wherever you might want to get your virtual server. After the signup, you should easily find the button or section where the setup of your VPS begins in your hosting provider’s client area. Choose Ubuntu, which is the most used operating system for MasterNodes. Also Linux VPS are usually cheaper than Windows VPS. But you can choose whatever you want if it is required in the case of a particular cryptocurrency. Then there should be a step where you choose the specific VPS package, e.g the one for $5 per month or so. You might be asked for additional features which are either choosable for free or at extra costs. Usually you shouldn’t need to add extra features that cost something. After having chosen all those things and having given your server a hostname and a label, the order can be executed. The server should be running shortly after the order. Your hosting povider will provide your server username and password somewhere within your clients area or they might have sent you an email about how to connect to your VPS. Then you need to download Putty, which is the standard SSH client that is used as an interface to access your VPS in a secure way. Setting up the MasterNodes for the different cryptocurrencies can be quite different. In general, you need the right software and Internet connection. Detailed instructions for each masternode setup can easily be found on the Internet when you search for “XYcoin masternode setup” or masternode guide. 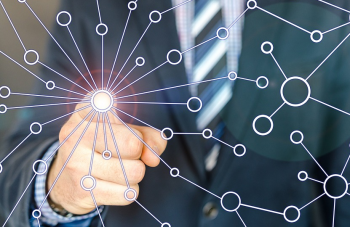 If the process is too difficult or if you do not have the necessary technical knowledge, MasterNode operators can also be found on the Internet. However, they also charge a small fee for their services. 1. If you want to create a master node, you first need a VPS server. Once you are on a hosting provider websites, create an account and then a server/droplet. 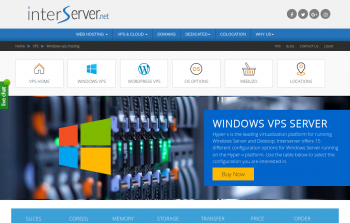 Once you have rented and installed the VPS server, you can start setting it up. For this we need the “Putty” program (https://www.putty.org/). As soon as you have installed and opened Putty, enter the IP address of the server created in the window above. If you click on “Open”, you will be asked if you really want to do this, here we can simply press “Yes”. Here we log in with root as username and the password assigned to us (online or per email). After that you will be asked to change your password – we do this and continue afterwards. – for this we go to https://github.com/stonecrypto/stonecoin/releases/download/v1.0.0.2/stonecoin-daemon-1.0.0-win64.zip and download it there. As soon as this is opened and fully synchronized we go to the tab “Tools/Tools” at the top below is also the “Debugconsole” which should now be opened. Now we go to the tab “Receive” and create a new address with the name “MN1”. There we now send exactly(!) 1500 Stonecoins in the tab “Transfer”. Finally, we go back to the debug console and type in master node outputs. What the console now outputs is the transaction ID, which should be noted with the single number at the end but without the quotation marks – we need this also later. Enter these commands in the console. Note that the console does not recognize “CTRL+V” as insert. To do this, we simply use the right mouse button and the copied image is simply pasted and then confirmed with “Enter”. In the next step we set up a firewall. If the status is now “enabled”, the firewall is ready. Now type “exit” and then log in with Putty and the newly created user and password. Close and save them with “CTRL+X and confirm with Enter”. 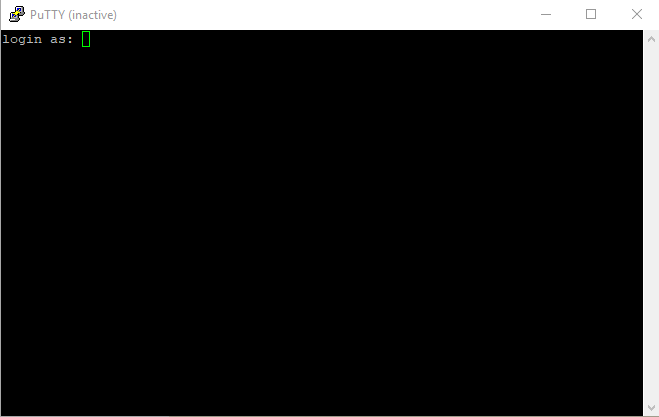 You should now see the message “StoneCoin Core server starting“. Go back to the Windows Wallet and then to “Tools” and then “Open configuration file”. These are the same as we selected in the VPS server file. Save and close. Then “Tools” and then “Open Master Node Configuration”. Then we restart the Wallet on our Windows computer and let it synchronize completely. Now any MasterNodes you have should appear and there should also be something of “Enabled”. It can take up to 30 minutes until the node jumps to “Enabled”. It should also say something like “MasterNode sucessfully started”. If both are true, you are now the proud owner of a Stonecoin MasterNode. The first rewards should come after 3 to 12 hours! Is It Worth Investing In MasterNodes? The investment in Crypto MasterNodes usually only pays off after a long time. You should not expect to earn a high income in a short time (unless the price of the respective cryptocurrency shoots through the ceiling within a very short time). They are especially suitable for those who want to participate in the network of a cryptocurrency. Nevertheless, a good passive income can be achieved if one keeps an eye on the return on investment and takes electricity costs or VPS costs into account. That’s why VPS at fixed prices are always a good idea, so you exactly know your costs. The rate of the cryptocurrency should also be considered and how it may behave in the future. MasterNodes 2019 – Which Coins Might Be Worth The Investment? Dash is one of the most promising crypto currencies with a high market capitalization. That’s why it’s worth it as a Master Node crypto, because when you sell a Dash Coin you get something. PIXV and Stratis are other worthwhile coins with high market capitalisation, but also a costly entry. Monetary Unit is a less well-known coin that has existed since 2014 and offers a good return of investment. As mentioned earlier in this post, there are also cheap MasterNodes you could use as an investment. In that case you don’t lose a lot of money if the networks should die – and on the other hand, in case those coins should grow in value you could have a massive return at some point in the future. Such coins are DXO, ZOC, XAP, RUPX, TRTT or YCE, for instance.